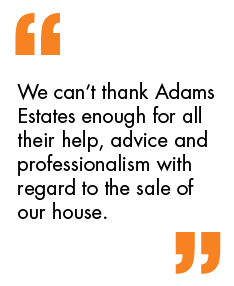 Adams Estates are delighted to offer for sale this exceptionally well presented four bedroom modern detached house. Ideal for family buyers it is situated in the Littletown area in close proximity of the well regarded local schools including `Littletown Primary and Spen Valley and is handy for commuters with the M62 being within 2 miles. The accommodation includes two reception rooms plus office and breakfast kitchen as well as utility and downstairs WC. To the first floor is a superb sized master bedroom with en suite as well as three further bedrooms. A modern three piece family bathroom completes the accommodation. The exterior has the advantage of an ample driveway providing off street parking and garage plus well stocked lawned garden area to the rear with a decked patio area. Benefiting from uPVC double glazing, gas central heating and alarm. Front composite door opening into the entrance hall with an open spindle staircase providing access to the first floor accommodation. Internal doors opening into the living room, kitchen/diner, WC, dining room and integral garage. Useful under stairs storage cupboard. Wood flooring. Radiator. Two piece white suite comprising: low flush WC and a pedestal wash hand basin with a mixer tap. Wood flooring. Splash back tiles. Radiator. Light and airy living room with one large bay window overlooking the front of the property. Wall mounted fire. Double doors opening into the dining room. Radiator. Spacious kitchen diner with wood flooring throughout, one UPVC double glazed window overlooking the rear of the property and patio doors providing access to the garden. Fully fitted modern kitchen with cream wall and base units comprising: five ring gas hob with an extractor hood over, stainless steel sink unit 1 1/4 with a swan neck mixer tap and drainer, space for an American fridge freezer and an integrated double oven. Inset spot lights and under cupboard lighting. Breakfast bar. Radiator. Fully fitted with wall and base units comprising: stainless steel sink unit with a swan neck mixer tap and drainer, plumbing for an automatic washing machine and space for a dryer. Good sized dining room with space for a dining table and chairs. French doors opening into the conservatory. Radiator. Patio doors opening out onto the enclosed rear garden. Laminate wood flooring. UPVC double glazed windows overlooking the rear garden. Large landing with one UPVC double glazed window overlooking the front of the property and integral doors providing access to all four bedrooms and the bathroom. Radiator. Double bedroom with built in wardrobes and one UPVC double glazed window overlooking the front of the property. Access to the en-suite. Radiator. Four piece modern white suite comprising: low flush WC, wash hand basin set into a vanity unit with a mixer tap, tiled bath and a large walk in shower cubicle with a rainfall shower head over. Fully tiled. Light up mirror. One frosted UPVC double glazed window. Inset spot lights. Heated towel rail. Double bedroom with one UPVC double glazed window overlooking the rear of the property. Radiator. Double bedroom with wardrobes with mirrored sliding doors and one UPVC double glazed window overlooking the front of the property. Radiator. Four piece modern white suite comprising: low flush WC, wash hand basin set into a vanity unit, tiled bath with a mixer tap and a walk in shower cubicle with a rainfall shower head over. Fully tiled. One frosted UPVC double glazed window. Heated towel rail. To the rear of the property is a privately enclosed lawned garden with a raised decked area, outside tap and side gate. To the front is a driveway leading to the integral garage providing off street parking for multiple vehicles. The development also benefits from a a shared children play area.